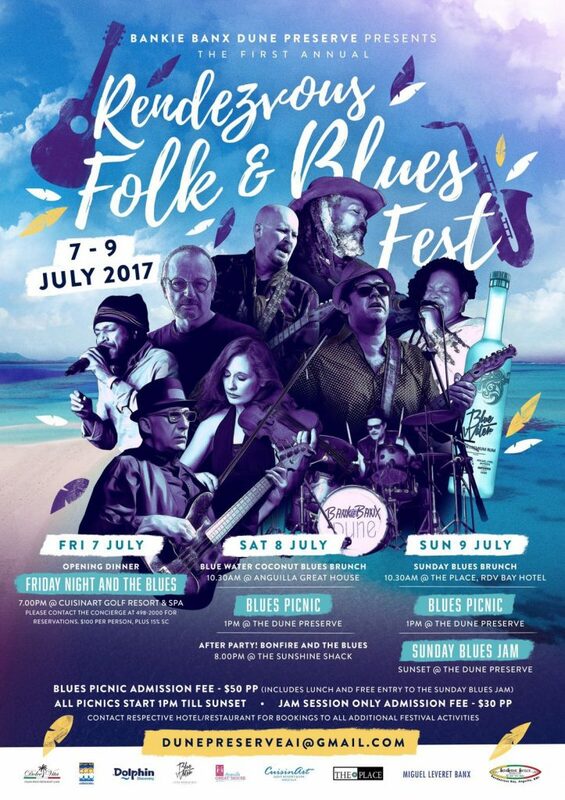 The Rendezvous Folk & Blues Fest will debut on Rendezvous Bay in Anguilla July 7-9, 2017. Spearheaded by Bankie Banx and Dune Preserve, the concept for the music festival was to have various venues on Rendezvous Bay participate while promoting the music. 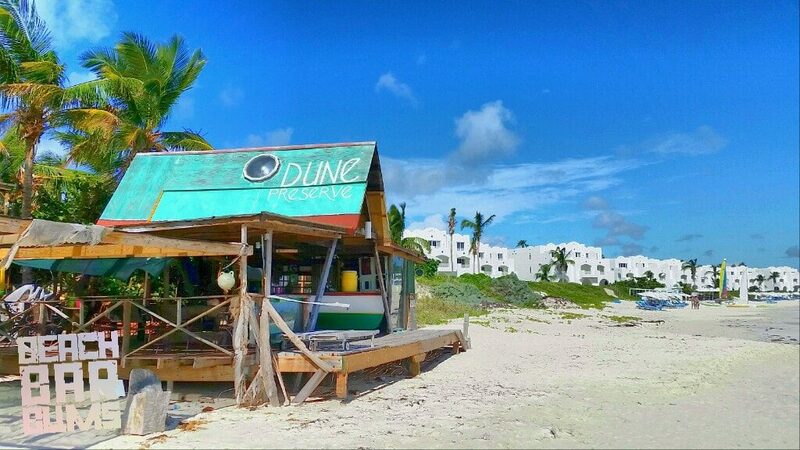 Besides the Dune, businesses taking part in the festival include the Sunshine Shack, Anguilla Great House, Cuisinart Resort and The Place among others. On Friday, July 7th, an opening dinner will be held at Cuisinart Resort. Saturday, July 8th and Sunday July 9th include a daily “Blues Brunch” at 10:30 am and a “Blues Picnic” at 1 pm on both days. Brunch on Saturday will be at Anguilla Great House with Sunday’s brunch to be held at The Place (Rendezvous Bay Hotel). The daily Blues Picnics will be hosted at the Dune Preserve. Blue Water Rum will be offering a tasting of their coconut rum at the Anguilla Great House on Saturday at 10:30 am. A “Bonfire and the Blues” event will be held Saturday night at the Sunshine Shack on Saturday and is scheduled from 8 pm until midnight. On Sunday, a blues jam will commence at sunset at the the Dune Preserve. *Please speak with respective hotels/restaurants for bookings to additional festival activities. Performers include Scott Holt (guitar for Buddy Guy), Kevin Tooley (drums for Katrina and the Waves/Midge Ure (Ultra Vox)/John Cale(Velvet Underground)/Annebella Lwin (Bow Wow Wow)), David Bennett Cohen (Country Joe and the Fish), Big Mike Aguirre and the Blu City All Stars and many more. For more information about the Rendezvous Folk & Blues Fest, you can check out the event’s Facebook page here or email Dunepreserveai@gmail.com.